Before I begin heart surgery, I always glance down at the patient and wonder, "How did this person get here, and what could he or she have done to avoid it?" The sad truth is that the ailments I operate on are usually preventable, and in a perfect world I would be out of a job. Unfortunately I'm busier than ever, and my patients, increasingly, are women. Heart disease is the number one killer of men and women in the United States, claiming the lives of more than 600,000 people each year, half of them women. And yet many women — and their health care providers — still believe heart disease is less serious in women than in men. This is simply not true. Studies show that more women than men die within a year of having a first heart attack (26 percent of women 45 or older versus 19 percent of men); women are two to three times more likely than men to die following heart-bypass surgery, and more women than men die each year from congestive heart failure. I was recently talking with Noel Bairey Merz, M.D., director of the Women's Heart Center at Cedars-Sinai Medical Center in Los Angeles. She believes women may suffer from a completely different type of heart disease than men, one in which the arteries are unable to dilate and can spasm closed. This dysfunction occurs in up to half of all heart disease cases in middle-aged women with open coronary arteries, she has found, and may explain why many women go undiagnosed, since a lack of plaque buildup makes the condition harder for doctors to detect. While new programs will help increase physician and public awareness, you need to take charge of your own heart health. By midlife (ages 40 to 60) almost one third of women have two or more modifiable risk factors — obesity, high blood pressure, high cholesterol — quadrupling their risk of developing heart disease. So how can you improve your heart health? Eat a healthy diet, take a 30-minute walk every day and reduce stress. Start taking care of your heart today, so you never end up on my operating room table. You may also like: Eat for a healthy heart. 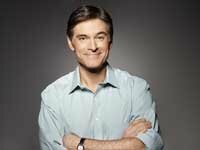 Mehmet Oz, M.D., is a cardiothoracic surgeon and the host of The Dr. Oz Show. Every 90 seconds a woman in the United States will suffer a heart attack, and 200,000 will die. But only half of all women say they would call 911 after experiencing heart attack symptoms. Why? They wouldn't want to bother anyone or have the paramedics see their messy house. So the U.S. Department of Health and Human Services has launched Make the Call: Don't Miss a Beat, a campaign to raise awareness about the need to call 911 if you suffer any of these symptoms: chest pain, cold sweats, dizziness, nausea, shortness of breath, fatigue and upper-body pain. For more info, call 800-994-9662, visit womenshealth.gov/heartattack.